Together we are trying to develop our skills and put our minds to work into a new product with a new perspective over the market. Also, by expanding our team a new office was required and so the new office needed a sense of belonging, therefore this year we had some fun by decorating! More about this you can find on TheWebMiner Facebook page! Another important story of this year is the sale of ThePriceMiner technology towards the Serbian company WebCentric, an important player on the market with an established place in this industry. 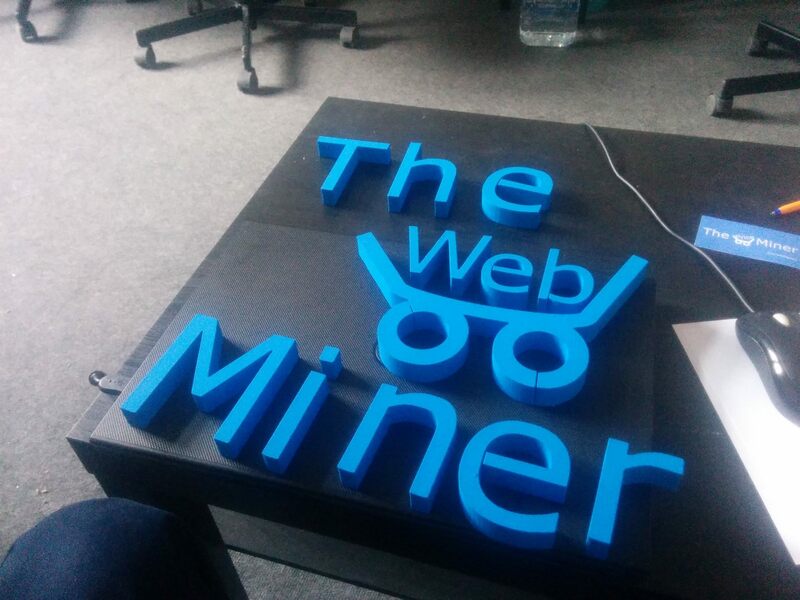 WebCentric plans to integrate ThePriceMiner custom algorithms with their existing product, Price2Spy, a permanent monitoring tool for online retailers. This year was also important in terms of technology used, PyTask is a proprietary technology of TheWebMiner helping us extract structured data in a scalable and efficient way. You can read more about this technology on the site under Technology section.